I know, you will definitely have a great answer for this question. As an obedient and trustworthy citizen of India, you would love to serve the country at the best possible way. And you all know the civil service is the best available option to fulfill your earnest desire to serve the country. Most probably that could be the only reason why people from different background, say from PG doctors, IITians and IIM business masters to a fresh graduate who passed from an unknown university too dream about, work for and make up their career in the most privileged government job in India - The Indian civil Service, (Just keep in mind that this is a possible question at the final stage of your selection, especially if you are from medical or engineering background :)). There is a common perception that civil service exam is too difficult to achieve. Yes..as per the statistics its true. About 4 lakhs people who dream about civil service apply for it..About 2.5 lakhs who prepared for it appear..About 12000 who worked hard clear the prelims..About 4000 who give their best in the Mains attend the interview..About 1000 who are consistent, smart, outstanding and graced with luck finally enter the service. Before you jump in, just remember that, right now, you are one among the 4 lakhs who are dreaming about this mighty service. Now leave the statistics and forget about the hefty 4 lakh dreamers. I know you are a dreamer now..thats the only reason why you are reading me. From that initial stage, you have to move to the second step. Be ready to work hard and smart. Be consistent and outstanding. Be brave enough to sail through up and downs..and as you know, luck favours the brave. 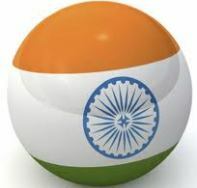 How CURRENTAFFAIRSINDIA.INFO is going to help you? Don't sure whether you have noticed. Each and every post in this blog is related with Civil Service exam. It can be Prelims or Mains. We would be continuing that. Apart from this we are starting a new section for CSAT-2013. We will be covering 80% of paper-1 including current affairs, Indian polity, Geography, Modern Indian History,Economics, Ecology and Environment and General Knowledge. Posts under CSAT-2013 will be objective type questions. Question pattern will be same as CSAT paper-1. Then why waiting? Get the syllabus and start right now! !